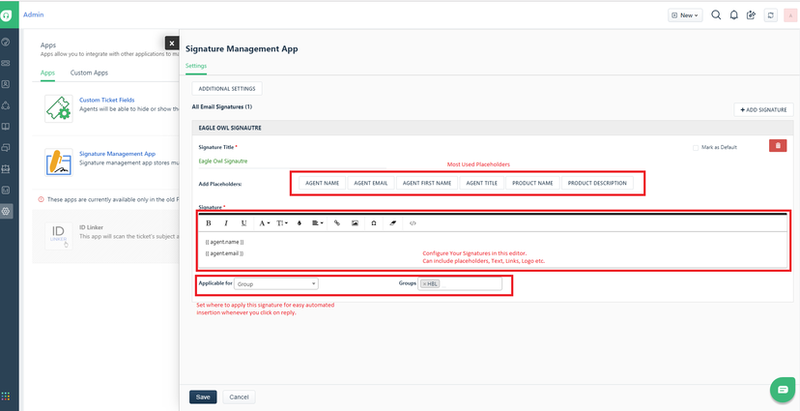 Signature management made easy on freshdesk. Simple to configure and use. 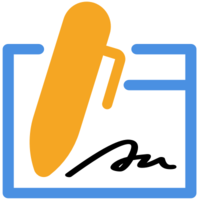 The signature management app stores multiple signatures. These signatures can be configured while installing the app. Once the app is installed, you can choose which signature to use from the app page. Business Case: This app can help you to configure your reply emails format and to structure them in a professional way. While installing, configure all the signatures which might be used. These can be configured and changed later again from settings page of the app from the installed app menu. Once installed, signature management icon comes on the text editor while replying on a ticket. On clicking, you get all the options of the signatures which were saved. 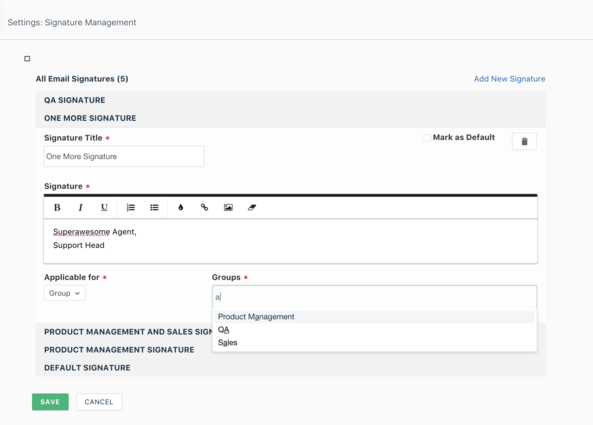 Select the signature which you want to use and click on "Add Signature". Note that signature is placed at the current position of the cursor. So, place the cursor at the right position. 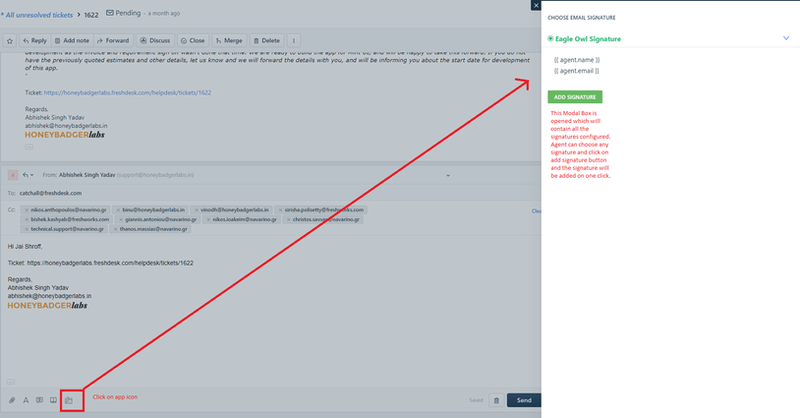 Also, it does not replace any text, so delete the old signature and then place the new one.